We're back with the first page of the Adventure series of Gospelman! 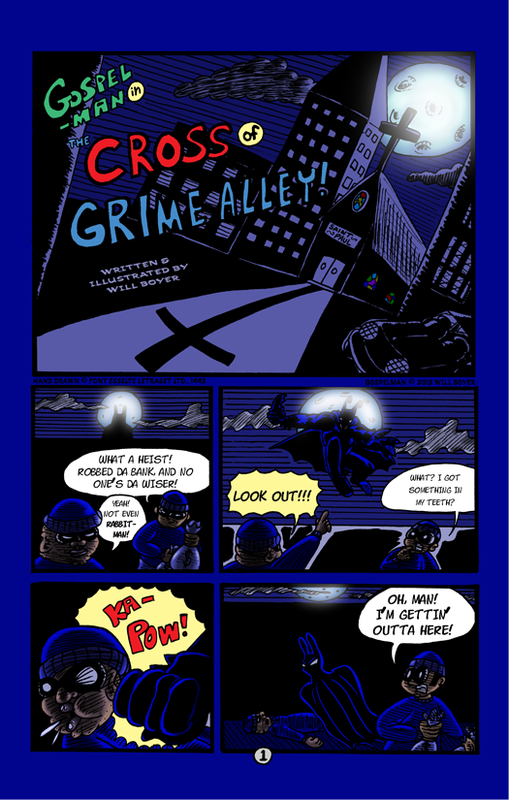 I originally titled this Cross of Crime Alley, but changed for legal reasons. Hey. I should have called it Sin Alley… Five page story starts here.